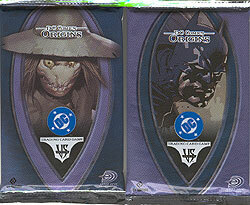 Expand your Marvel or DC TCG game adding powerful characters like Batman, Superman, The Joker, Nightwing and Catwoman. Boosters also contain powerful equipment, plot twist and location cards. Each card features original artwork by DC Comic artists.